12 Years a Slave has won the Golden Globe for best drama. Big congrats to everyone on the win! For a complete list of winners and nominees, go here. The film will open in 500 more theatres this weekend so if you haven’t already seen it, check your local listings. On this side of the pond, Any Day Now has finally been released on DVD in the UK. Starting today, it is available on Amazon UK and probably a few other places. 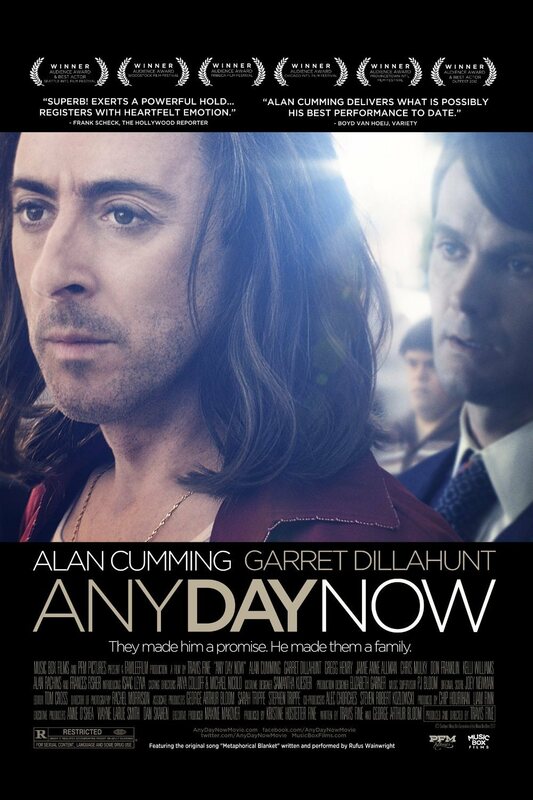 Any Day Now will be released in theatres in the UK on September 6, and on DVD next year. You can follow Peccadillo Pictures on Facebook for the latest updates and listings. Iconic Interview has a new interview with Garret. In it, he talks about everything from Deadwood and The Sarah Connor Chronicles to Any Day Now and Twelve Years a Slave. Snippets below, and you can read the whole article at the link. Iconic Interview: Raising Hope is really idiosyncratic and I can’t think of anything else like it. What do you think makes this unusual show so successful? Garret Dillahunt: I think it’s because it’s good and funny and people can identify with it in some way. I don’t think it’s far-fetched to assume that. This family is not a rich family; they have a hard time getting by, but you wouldn’t know it. They still find a lot of joy. They’re idiosyncratic, but loving. I think that’s how most families are, really. Everyone thinks their family is the craziest family in the world. [If you ask], they’re like, “My God, my family’s crrrazy!” So I think it’s not far from home for everybody. 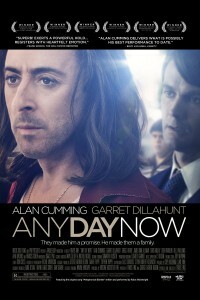 Any Day Now will be released on DVD and Blu-ray on April 23. No details yet, but you can pre-order it on Amazon. This is a Region 1 release (U.S. & Canada only) – no date for other regions yet.